Is there a way to stop sharing your location on the Find My Friends app without it sending a notification to the other person? My friend is literally stalking me and watching my every move using this app and it's making me really uncomfortable. A few weeks ago I stopped sharing my location with this person and it sent them a text message notifying them that I did and they immediately called me out for it so I pretended it was an accident and regrettably re shared my location. If I delete the app entirely will that stop sharing my location? 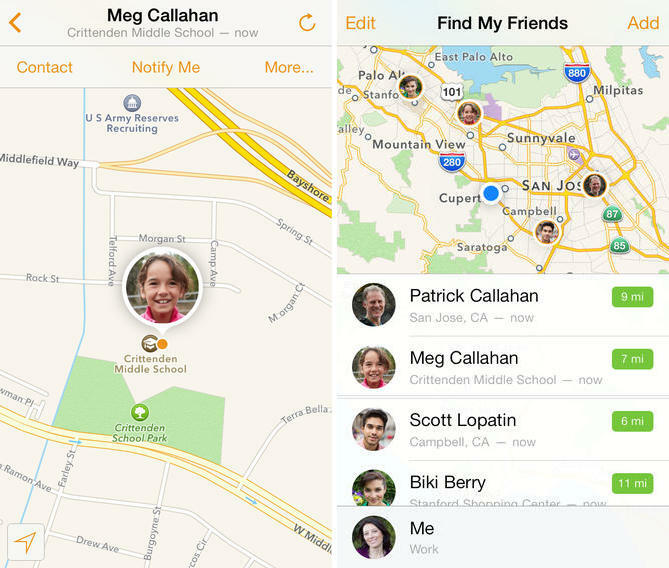 Yes, you can stop sharing your location in the Find My Friends app without it sending a notification. You may not be able to turn it off for her specifically without notifying her but you can turn it off altogether which will hide it from everyone and it shouldn't notify them in this case. It can be temporary or permanent, it's up to you. 2. Turn off share location, and then tap okay. When you turn off your location like this, "not available" will appear below your name on the devices of everyone who follows you. It will be like when your phone is turned off or simply offline. This should solve your problem with your friend without directly notifying her and causing drama. Tell your friend to get a life and stop stalking you. Or just block them from the app. How intense is online bullying for children? Why am I temporarily blocked from just viewing people's profiles, and when does that get lifted? There's no timeline on it? Anybody ever have this happen to their computer? Do you think Tik tok should be banned? What video game u like? Why is your friend stalking you? Girl or guy? Girl, I'm not really sure but she's been very possessive over me lately. Like she gets mad if I hangout with other friends, constantly needs verbal validation of our friendship, and even has the app set to notify her when I leave my apartment. She told our mutual friend that she checks my location all the time. It's just too much so that's why I'm trying to figure out how to stop sharing my location without her finding out. Home > Technology & Internet > Is there a way to stop sharing your location on the Find My Friends app without it sending a notification to the other person? If someone posts a lot of selfies on social media, does it make you more or less attracted to them?